Prošlo je skoro dva meseca otkako je Aleks, naš EVS volonter iz Portugala napustio Novi Sad i vratio se u svoj rodni grad, Aveiro. On nam je poslao kratko pismo u kome se osvrće na svoj EVS projekat i deli sa nama kako je to iskustvo uticalo na njega i kuda ga život dalje nosi. In a wall in Zagreb, a couple of days before the end of my EVS, I read out the overused quote from Dr. Seuss “Don’t cry because it’s over, smile because it happened” and, as much I do not want to admit it, the quote sums up my thoughts not only about this year, but of every period spent abroad. It happened, it moved me, it made me feel, jump, go forward, cry and crawl, owl in pain, cheer and hug. It made me be alive. You will always see me smile at the end of a cycle. At the end of a period abroad. At the end of things. Being back home after a year of Novi Sad, Serbia and VCV feels weird. I have moved a lot when I was in Novi Sad: I called four places home, countless trips and even more different pillows and blankets. But being back on Aveiro, I feel comfortable in my own skin. I am not going to lie. The image I had of volunteers was the worst one. Clueless hippie-spirited, while warm-hearted people who, often, have no idea of the structural and social conditions causing the very problems they were naïvely trying to repair. And they are lazy. And have you heard about Humanitarians of Tinder? What a shame. But I fell in love with every aspect of becoming a volunteer. And so this is a story of growing to be comfortable in your own skin: of not being embarrassed to do what I do and what I enjoy doing; of gaining confidence; of knowing where you stand and getting a ticker skin; of caring less to care more. I am currently trying to give back some of the things I learned to my community and to my sending NGO: Agora-Aveiro. For example, I held a Theater of the Oppressed workshop for 15 participants, which will continue to discover this social practice in the future. I also applied for two national pool of trainers and I am currently trying to help the organization to be more efficient and impactful in their work. I want to pursue a career in Non Formal Education and transmit all the knowledge I gained volunteering for almost two years. 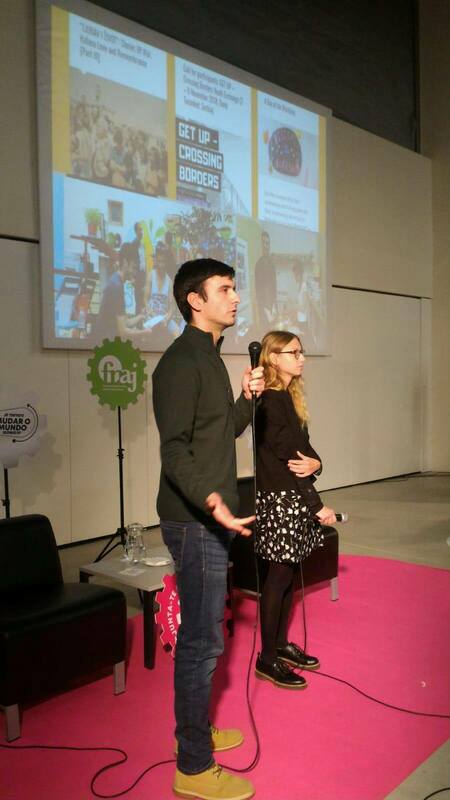 EVS definitely helped me to feel more confident, to know how NGO work and how and why they struggle. I definitely feel the impact of the whole experience, so much to the point I am afraid of not being able to adjust to a regular work life. It’s a real fear! Is that a post-EVS cliché too? I was surprised by Novi Sad, I am always prone to cities where you can walk everywhere, pleasant and with a good quality of life. Laidback and less chaotic and savage than its counterpart, Belgrade. There’s a lot of places to enjoy outside, to play basketball (a late love in my life) and to even go to the Serbian “sea”, good old Danube, when the thermometers signal close to 40º. I hope I can go back! 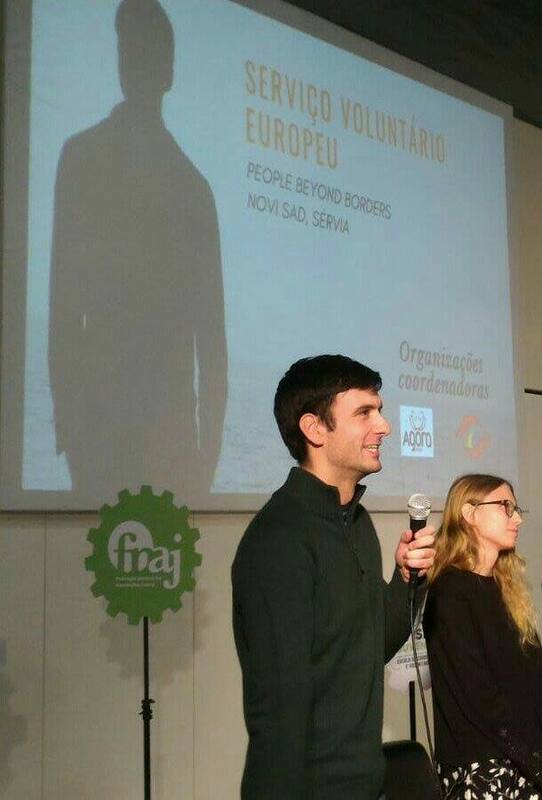 Alexandre Fonseca je do oktobra 2018. volontirao u Volonterskom centru Vojvodine kao EVS volonter na projektu “People BeyONd Borders” (Erasmus+ program). 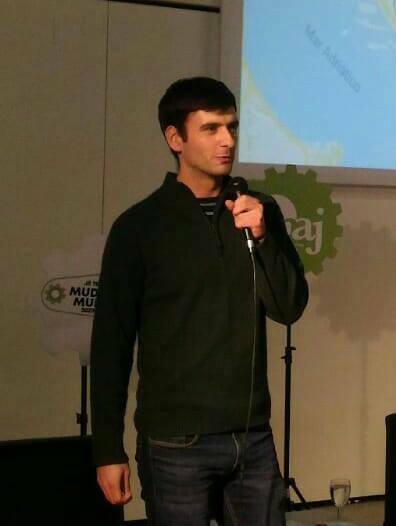 Alexandre Fonseca was until October 2018 an EVS Volunteer at Volunteers’ Centre of Vojvodina with the project “People BeyONd Borders” (Erasmus+ Program).